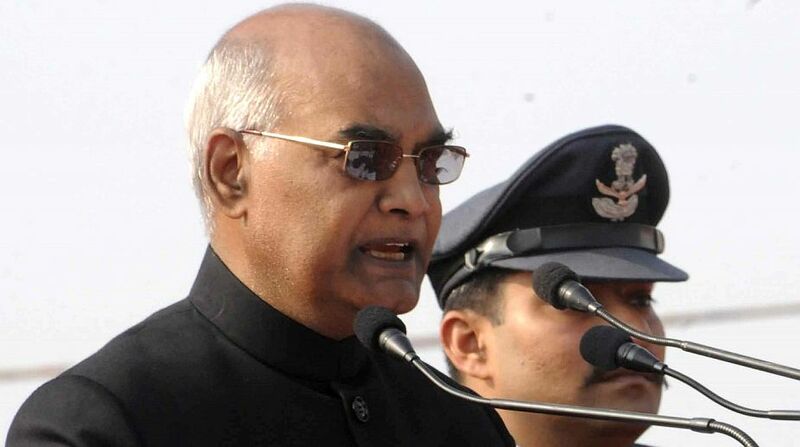 President Ram Nath Kovind on Saturday appointed new Governors for five states, including Tamil Nadu, which got its first full-time Governor in a year amid the continuing political crisis. Banwarilal Purohit, Congress-turned BJP leader, will occupy the Raj Bhavan in the southern state. According to a Presidential statement, BJP leader Satya Pal Malik will hold charge in Bihar, where Kovind was Governor before he became President, former Delhi BJP MLA Jagdish Mukhi is Governor in Assam, Bihar BJP leader Ganga Prasad in Meghalaya and Brigadier (retd) B.D. Mishra, a war veteran, in Arunachal Pradesh. Former Navy chief Admiral (retd) D.K. Joshi was named as the new Lt. Governor of Andaman and Nicobar islands. Purohit, a former national Vice President of the BJP, will be taking over as Governor at a time when Tamil Nadu is going through a political crisis due to infighting in the ruling AIADMK. There has been demand for a full-time Governor in the state where Maharashtra Governor C. Vidyasagar Rao was holding additional charge since K. Rosaiah retired in August last year. Purohit – a long-time social and political activist from Vidarbha in Maharashtra – was elected to the Lok Sabha thrice from Nagpur. He won the elections twice on a Congress ticket in 1984 and 1989 and once as a BJP member in 1996. Last year, Purohit was appointed Governor of Assam, where he is being replaced by Jagdish Mukhi, veteran BJP leader. Mukhi was earlier Lt. Governor of Andaman and Nicobar islands. Admiral Joshi, who takes over in the Union Territory, had resigned in the middle of his tenure as Navy chief after a fire broke out aboard Kilo-class submarine INS Sindhuratna on February 26, 2014. He was to retire in August 2015. Bihar also got a full-time Governor in Satya Pal Malik – a former Janata Dal MP from Aligarh and BJP Vice President. Bihar politician Ganga Prasad, the new Governor of Meghalaya, had been part of BJP’s national executive after Amit Shah took over as party President. He has been a member of Bihar’s legislative council for 18 years. Brigadier Mishra, a war veteran who served the Indian Army in three major wars in 1962, 1965 and 1971, will be handling Arunachal Pradesh.